Cafe’s have unique requirements for shade and shelter. Space is at a premium and owners need to maximise revenue from narrow pavements and tight corners throughout the day and may need to clear the space completely at the end of trading. 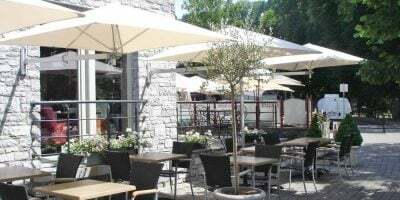 We offer a range of smaller lightweight, flexible parasols for cafe solutions that are both strong, durable and ideally suited to the daily rigour of regular opening and closing and easy to remove and store. 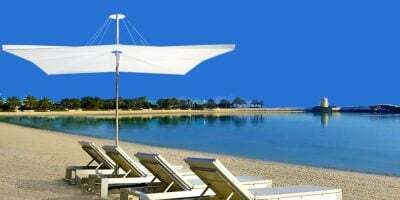 From our wall mounted Paraflex parasols with no floor standing base, to maximise table density through to lightweight aluminium centre post parasols from Tradewinds and TUUCI that offer a vast array of sizes. 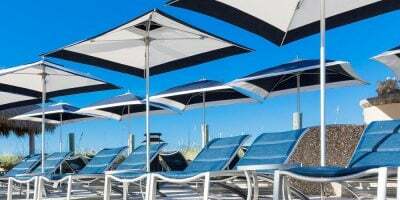 We go to great lengths to match these parasols with bases tailored to our customers needs, with fixed bases providing the most rigidity and bases with wheels for ease of movement. 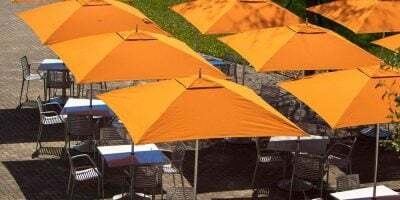 Global Parasols will help you find the right solution to fit your particular trading requirements and budget.